Aside from cats who were born and raised feral (and therefore will naturally be very skittish), the idea that a cat’s affection for their human is “distant” just isn’t fair. I see evidence that a cat’s love is always there, whether they jump up to greet you every time you walk by or not. And, while cats need more personal “down time” than dogs, but they also cuddle up closer and longer than most dogs do. Many of us have lived with cats who want to be around us most of the time, show up in whatever room we inhabit, and run to greet us when we get home. So another cultural phenomenon that bums me out is how many people with cats like this will say, “My cat is different, he’s like a dog, he’s really special. I’ve never seen a cat like this before. I’m not really into cats, but he’s the exception.” To these people I want to say: Hang on, hold up! I know of MANY CATS like that. Every cat I’ve ever had has been like that. The reason you don’t see all cats acting like that toward you is that you haven’t bonded with every cat in the world. It’s true that this is where most cats are different than dogs: dogs are ready to connect with anyone, while you need to develop a bond with a cat before they can feel safe with you. But that is about safety, and a bit of wildness, not arrogance. And the more feral the cat’s background, or the more underlying physical pain he might be experiencing, the less safe he will feel with humans. Here’s the thing, those “unhurried blinks”? Those are cat smiles, cat hellos, and (according to cat behaviorist Jackson Galaxy) cat “I love you’s.” So don’t diss the slow blinks your cat gives you! And, as for your cat not always getting up and running to you when you say hello to them, researchers now know cats are genetically programmed to exert as little energy as possible and rest up for bursts of activity. The slow cat blink contains at least as much love as a dog’s bounding up to you does, it’s just that a cat’s physiology is wired to conserve energy, so she uses feline shorthand at times. I like that the New Yorker article mentions that some experts think cats are only semi-domesticated: “…genetically, cats have diverged much less from their wildcat ancestors than dogs have from wolves.” Because the fact that cats still have so much wildness in them is part of the unique joy and magic of our bonds with them. There’s a sense that this creature, who is practically from a parallel universe and doesn’t completely need you, has nevertheless chosen you. And that feels pretty mysterious and special! Are you tired of the “disinterested, self-centered cat” stereotype too? Or is it different in your culture? Tell me about it below. 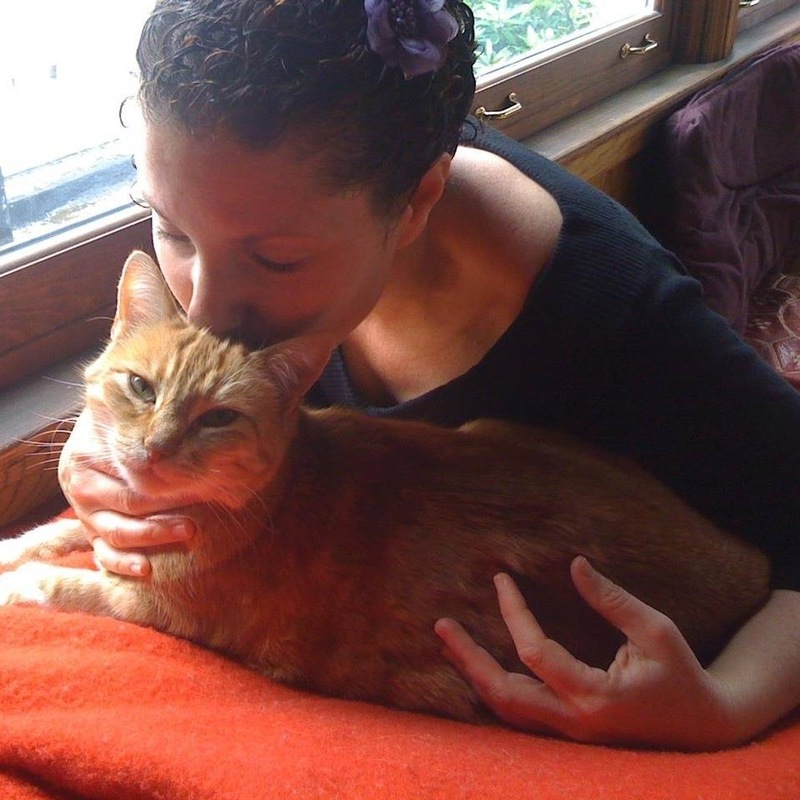 15 Responses to Can we give the “disinterested, uncaring feline” stereotype a rest? My experience with cats, both personally and as a professional animal communicator, is that above all they want respect. You can have a really incredible bond and relationship with a cat (or cats) if you are willing to open up your heart and be genuine with them. They generally know a lot more than you think they do, and they will open up to the same extent that you open up with them. So, if you want a warm and affectionate cat, be open with them about what you want…and be ready to be warm and affectionate in return! Cats and their relationship with their “human” friend is NOT something that can ever be defined or even understood. they are infinitely MORE aware than any human being, and their spiritual guidance that they offer us is immeasurable in its scope and content. They are from the Sirian Star System, and do NOT need any enlightenment in any way. They have come to HELP us evolve…..!!!!!!!!!!! and NOT the other way around… perhaps if human beings listened more to their feline companion,s our world would be MUCH different. and there is NOTHING that compares to the Love of of the beings humans “label” as Cats…. it is beyond ALL human comprehension. Hi Liz! I couldn’t agree more with you 🙂 I was a “dog person” myself before my better half showed me the truth and convinced me to adopt a little furry friend! I like your explanations about cat’s different behaviors. It’s actually pretty funny, I can relate to a lot of points that you are making here. Could not leave without my furry friend. I agree about it not being an insult to say cats have a little bit more “wild” in them than dogs. It’s cool to have a slice of nature in your midst, especially when its wildness is about as harmful as a fruit fly. Part of what has tempered my enthusiasm for dogs (and some cats) is how centuries of selective breeding have created true monstrosities that don’t bear even a slight resemblance to an animal that could sustain itself alone. I also agree with your more general point that our casual references to cats shapes our society’s perceptions of them and in turn it affects the way we treat them—particularly problems regarding cats, such as rampant homelessness—with indifference. It is a self-fulfilling prophecy that if you expect your cat to be like a home accessory and treat him/her like a throw pillow or a lamp rather than a loving member of the family – they will act like an accessory. Treat them with love and affection with lots of interaction, and they will respond in kind. Liz, I so appreciate your mentioning the cat eye-blink. I love the intimate and subtle nature of this communication. My precious cat Murphy (may he rest in peace) who was with me through my ’20’s, was one of the most empathetic beings I’ve ever known. He would lie on my chest in bed and we would have long eye-blink conversations. Our relationship taught me a lot about how to listen and how to be fully present. 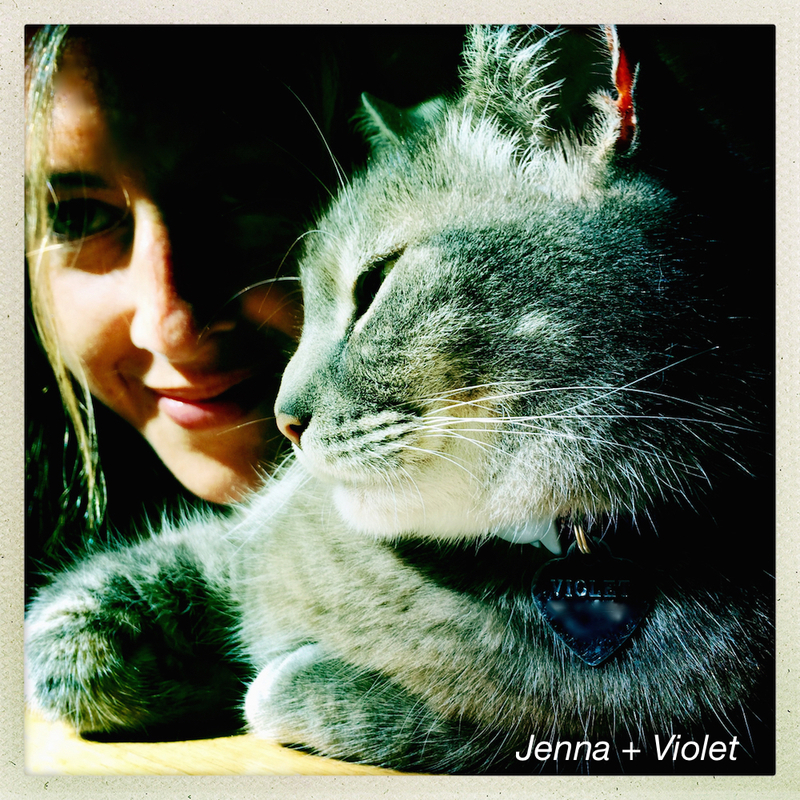 I understand why Eckart Tolle said, “I have lived with many Zen masters, all of them cats”! Wow. So not true! All the cats i had, past and present, were and are, very loving towards me. They all slept with me and i did not even have to put them on the bed. Tabasco’s bedtime seems to depend on how active he has been that day. But sometime after our evening meal he starts “lobbying” me to go to bed. His progressive retirement routine is to sit and stare at me, then “talk” to me until I get out of my chair and he leads the way to the bedroom. In bed I lie on my back and he takes his place near my right arm pit. We talk about our day until he is ready to nestle next to me and go to sleep. I read until I’m ready for lights out. By that time Nancy and several other cats have joined us. Tabasco and I may be at a similar stage in our lives; he is at least 16 and I am 83. We are close, and we care about each other. 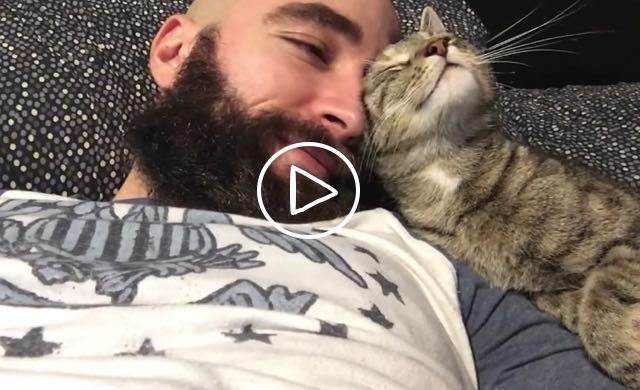 Alvy, thanks for sharing about your affectionate cats. I just adore stories about cats like Tabasco and love the routines and understanding you two have together. I love this, JaneA.Thank you. I notice that the more you talk with them, the more they will “talk” with you – even developing human-like inflections in their voice to respond. Our cats are total lovers. Very affectionate, follow us, sleep with us, lay on our laps or chest. One might say they are very needy instead of being independent. They seek us out for love and attention. We also believe cats behave based on how they are treated. If you talk with them, give them attention and love, play with them, they will respond in kind. If you ignore them, they will usually ignore you, too.